Simplify repetitive tasks with Zoho Desk. Zoho Desk helps you deal with all your routine tasks much faster, with smarter search options, built-in ticket views and easier collaboration tools, so you can focus on the bigger picture. Your customer service team looks up a lot of customer information everyday. These might be contacts, tickets, or even tasks. They need powerful search functionality that helps them get to what they want quickly. 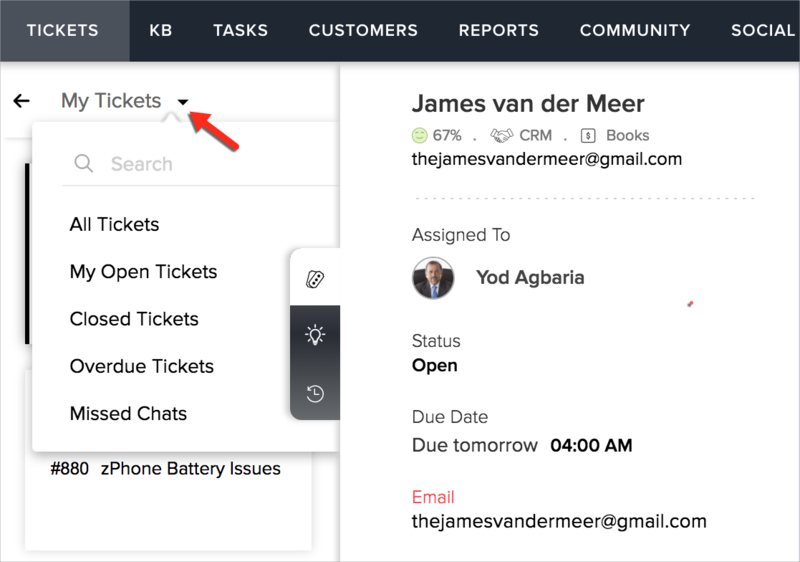 For example, when agents enter a customer's name, Zoho Desk automatically pulls up their contact, recent tickets, any tasks associated with them, and more. Focus on what you need. Views help agents focus on the tickets that matter the most to them, by using filters to show them only what they want to see. You can save the view for easy access later. When you need to collaborate with agents from another department, it's cumbersome to forward or reassign tickets to them. In the former case, everything becomes messy, and in the latter, accountability goes for a toss. 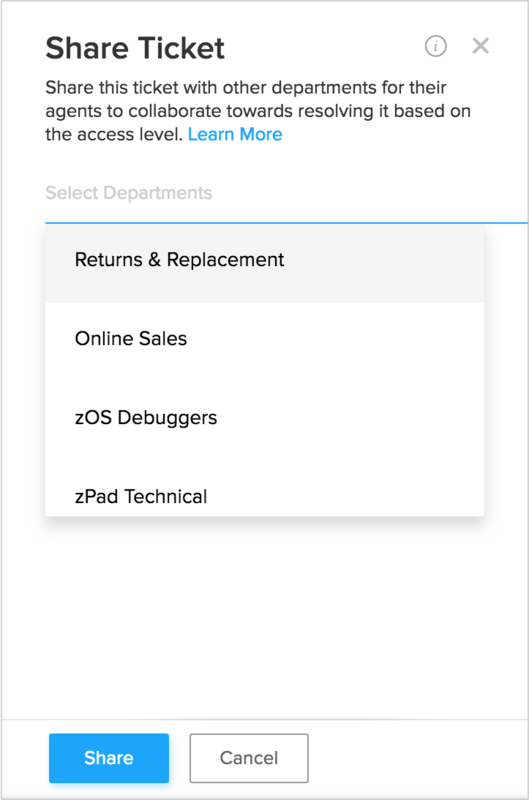 Zoho Desk lets you share tickets to agents in other departments. This allows them to perform ticket actions without changing ownership or creating copies. Quick clicks for immediate action. Tired of clicking the same buttons over and over? With Zoho Desk, you can perform actions like editing the ticket status, or even deleting multiple tickets, with just one click. This way, your agents' time and effort can be spent on more productive things.